A horse grazes in the sunshine of an autumn day. 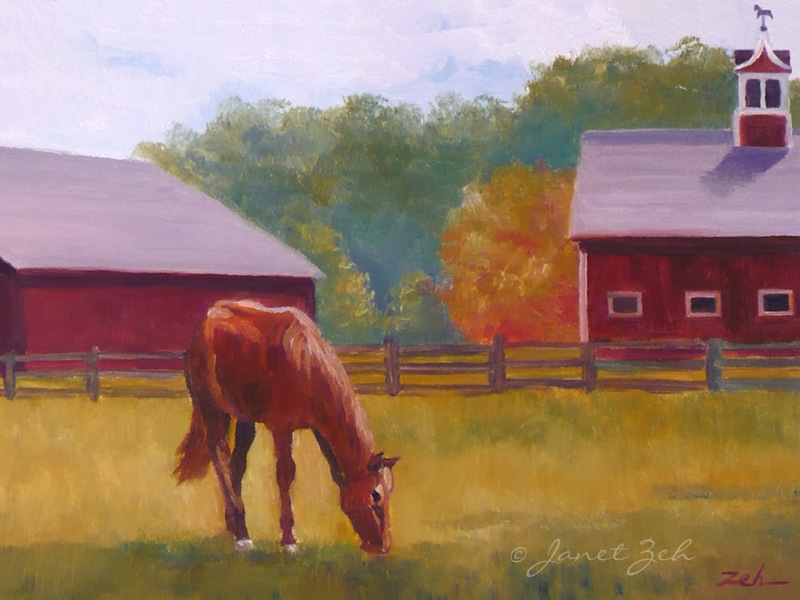 This print from my oil painting was inspired by a farm in my area. 'Horse Barn' Print is available in several sizes and print options. Click the Order Print button below for sizes, options and prices.